It has been found that the vocal chords of dogs are being severed in order to make them dumb. Many breeders who supply animals for experimentation severe the animals' vocal chords so that they do not bark and create a racket when painful experiments are performed on them in labs. This is being done even by individual dog owners who want to silence their barking pets. This practice is called Debarking, which is a procedure in which vocal chords are severed using laser. The process of debarking has become easier with the introduction of lasers. In this process, the mouth of an anesthetized dog is opened, a laser is inserted in its mouth and the vocal chord is cut partially or completely. There is no bleeding and the whole process takes only five minutes. This process of debarking is totally unethical and cruel. It could have lasting effects on a dog's psychology. If a dog can not communicte with its owner or other dogs normally, it is certain to go into a state of depression or become completely docile. This cruel practice must be banned immediately by governments all across the globe. 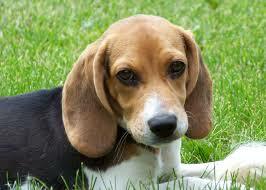 Experiments done on debarked dogs, or any other dogs or animals for that matter, must be banned too. We can not, and must not claim to be the sole custodians of the planet and use everything and everybody according to our greed and convenience.